I DON’T KNOW what brand of machine the U.S. Treasury Department uses, but Fiat Chrysler Automobiles (FCA) prints money with Jeep. 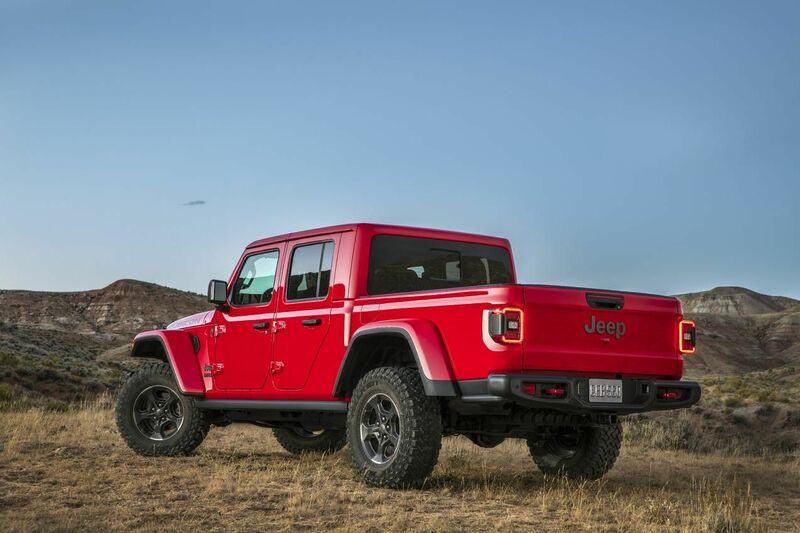 The latest denomination to roll off the presses in Toledo, Ohio, is the 2020 Jeep Gladiator: a midsize pickup, based on the Wrangler four-door compact SUV (body-on-frame construction, solid front and rear axle), a 5-foot cargo bed, fold-down tailgate and best-in-class towing. Ka-Ching. I drove several examples of the Gladiator at a press event near Sacramento last week, on road and way, way off. 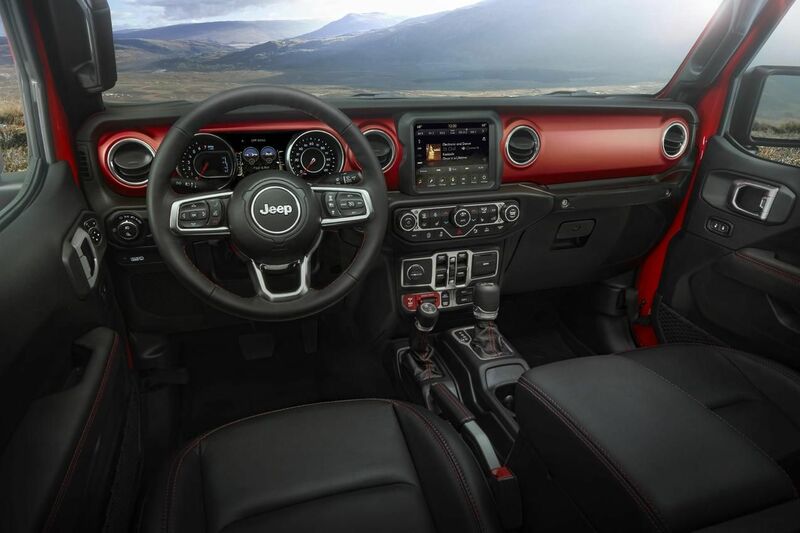 The Gladiator shares all of the Wrangler’s charms—a fold-down windshield, fully removable top, 11-inch ground clearance—and many of its flaws: the indefensible, couldn’t-be-bothered fuel economy (19 mpg, combined); the painfully under-designed folding canopy top, plagiarized from a Ford Model T; and various corner-cutting that produced, in one case, a literal cut corner. Note how the Gladiator’s rear doors are truncated at the lower aft? That’s because they used the same door stamping as the four-door Wrangler. A penny saved is a penny earned. Alas, there will be no mercy. The Gladiator in its bare-boned Sport trim costs $33,545—that’s $2,000 more than the base Wrangler SUV four-door; in Sport S trim, $36,775; Overland, $40,395; and Rubicon, $43,545. A fully loaded Gladiator Rubicon will soar into and out of the 50s, partly because there are so many desirable options, including the body-colored three-piece removable hardtop ($2,295) and the Max Tow Group ($995). Nor do these base prices include the destination fee ($1,495) or even the price of an automatic transmission ($2,000), for which there will be probably a greater-than-90% take rate. I’ve been kicked in the head before. It feels just like that. And yet I am reminded of James Earl Jones’s line in “Field of Dreams”: “They’ll pass over the money without even thinking about it. For it is money they have and peace they lack.” Hell yeah, they will. Here’s a number that will make you reach for a chair: U.S. Wrangler sales jumped more than 20% in 2018, to a record of 240,032 units. Gladiator—the brand’s first pickup since 1992—leverages Jeep love for all its worth. Starting prices are roughly $10,000 more than the big stars in the competitive set, including Ford Ranger and Chevy Colorado. At lunch, Jeep execs observed the growing distance between daily transport and a high-capacity lifestyle vehicle such as the Gladiator, for which auto makers may charge a premium. Uh-huh, OK. You are all going to hell. The demand for Gladiator may also be read as an index of frustration with the donor car. The paradox of Wranglers generally is that anything and everything people want to do in the deep bush requires more gear than Wranglers can carry: tents, backpacks, coolers, firewood, water, bikes. The minimum pack for my family’s weekend camping spills out of a Wrangler like microwaved sausage. And I don’t have any really gear-intensive pastimes, like boating, scuba diving or kayaking. Thank God. For what ails the Wrangler in terms of usability, the Gladiator’s cargo bed is nothing short of a miracle cure, a major fix, turning one of the market’s least versatile vehicles into something quite livable, flexible and adventure-friendly. Example: The truck bed is long enough to accommodate 90% of motorcycles, two of them; or two kayaks, or two yaks, for that matter. Thanks to the 35.5-cubic-foot box with folding/locking tonneau, bold adventurers need never drive around with paper towels from Costco riding shotgun. Much of the program engineering went into increasing engine cooling, which was holding back towing capacity. At the press event I towed a +5,000-pound boat/trailer combo up and down a rolling two-lane. The increased cooling is nice; more horsepower and torque would be welcome, frankly. 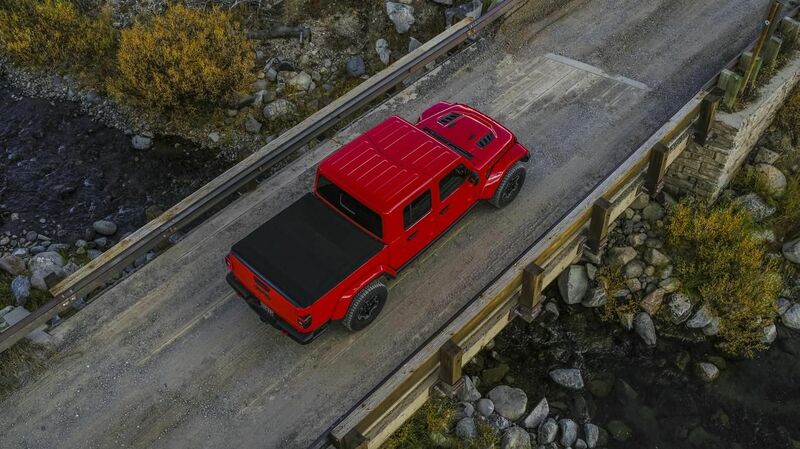 But Gladiator’s stretched wheelbase—19.7 inches longer between the axles than Wrangler—makes it a much more secure, centered and comfortable towing platform (trailer-sway control is standard equipment on most trims). The test drive also included a righteous overland course taking in slick axle-deep mud and bottom-banging descents down rock ravines. The Rubicons we were driving chewed this scenery like contented cows. All Gladiators use FCA’s hoary 3.6-liter, 285-hp/lb-ft V6, fitted with either a six-speed manual transmission or the (cost-added) eight-speed. Aft of that, in the Rubie, is the heavy-duty, manually selected Rock-Trac transfer case with a 4.0:1 low-range gear ratio. Churn is then piped through electronically locking front and rear differentials inside wide-track Dana 44 axle cases, and then out to Rubie-special 17-inch alloys wrapped in the Falken Wildpeak all-terrain knobbies. Rubicons are also fitted with Fox monotube shocks, a front-sway bar disconnect feature, side rock rails, high-clearance fenders and steel bumpers with removable corners. So I should hope it would fare OK in the bumpy. The off-roading did expose the one functional compromise inevitable with any extended-wheelbase Wrangler: the reduced break-over angle. The farther apart the axles are, the lower the obstacle clearance between them. Several times, as I nosed over the blind lip of a ledge, in 4x4 Low, the brakes groaning, the Gladiator dragged its belly against the boulders, banging and screeching in an unwholesome way, a shrill chorus of depreciation. Oh well, it’s only money.